Brent Cross shopping centre, London. British shopping-centre group Hammerson said on July 24 it is planning 1.1 billion pounds of disposals by the end of 2019 and will buy back 300 million pounds of shares as part of an overhaul of its business after it backed away from a takeover of rival Intu Properties. Hammerson said it will focus on flagship shopping centres and outlets, sell its retail parks business, and increase its exposure to non-UK locations. It also plans to make cost savings of 7 million pounds each year, cut its loan-to-value ratio to the mid-30s percent, and delay an upgrade of its Brent Cross shopping centre in London. The strategy announcement came as the UK landlord said its statutory profit had fallen 75 percent to 55.7 million pounds in the six months to end-June from the same period a year earlier. Its adjusted profit, which excludes changes to its property value, increased 0.5 percent to 120 million pounds. Net rental income fell 3 percent to 178.5 million pounds during the first six months of 2018 compared with the same period a year earlier. Hammerson also plans to cut the number of its executive directors from four to two. Peter Cole, its chief investment officer, will retire in April 2019. Jean-Philippe Mouton will step down from the company’s board by the end of the year but will continue to lead the French business as managing director, as well as being responsible for group marketing. 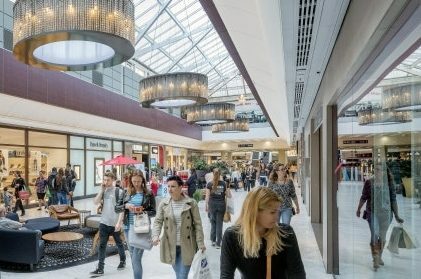 Hammerson will pay a dividend of 11.1 pence a share for the six months to end-June 2018. Hammerson shares were up 0.22 percent to 527.2 pence at 0747GMT on July 24.